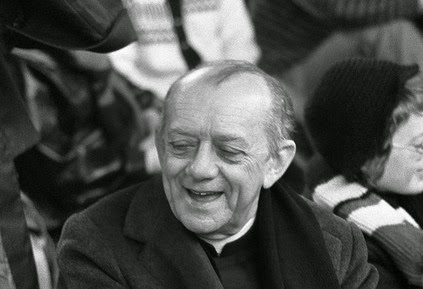 The Vatican Congregation for the Causes of the Saints has reportedly approved the start of the path to sainthood for Archbishop Dom Hélder Câmara, who was an early chaplain of the JOC in Brazil and a close collaborator of Cardijn at Vatican II, who became known as the “bishop of the slums” for his social engagement in favour of the poor. The process will begin in Câmara’s diocese of Olinda and Recife in Brazil, according to NCR and the Italian newspaper Avvenire. According to a report in Avvenire report, Cardinal Angelo Amato, an Italian who leads the Vatican congregation, signed a letter Feb. 25 allowing the beginning of the process. The letter reportedly gives current Olinda and Recife Archbishop Fernando Saburido authority to begin the sainthood process, which starts with the diocesan investigations before formal presentation of Câmara’s cause to the Vatican. The entire process for sainthood, should it be successful, can take decades or even centuries. Câmara — who is known worldwide for saying: “When I give food to the poor, they call me a saint. When I ask why they are poor, they call me a communist.” — was head of the Brazilian diocese from 1964-1985. He died in 1999.